Croydon is one of the largest business and retail centers in South London, and consequently has higher concentration of businesses in the retail, business administration and finance/insurance sectors. As per the Croydon Economic Development Plan, it is clear that more needs to be done to support business growth and rebalancing by identifying the salient themes, most pressing matters and mechanisms of delivery to achieve the overall long term vision to make Croydon London’s most enterprising area. The business survival rate in Croydon is in line with the survival rate in London and businesses continue to work in the same manner even after the first couple of years of operation. Creating the right environment is essential. People venture into their own business as they have right business acumen and commitment to sail through the initial obstacles. However, these individuals are not proficient with the legal and financial aspects of the business and need qualified contractor accountants and tax accountants in Croydon to guide them. Our team of accountants in Croydon guide freelancers and contractors to take steps which are essential for the expansion and development of their profession and business. DNS Accountants is the leading contractor accountancy firm located in Croydon and we help freelancers and contractors with accountancy and taxation services to manage their well-merited money and save taxes. Freelancers are a rising segment of working people and most businesses desire to keep their standard expenses to the minimum and appoint freelancers. In such a scenario, there is a strong demand for contractor accountants and DNS Accountants is the best chartered accountants in Croydon. Since, the introduction of the Intermediaries legislation or the IR35 legislation in April 2000, bookkeeping and tax planning has become very tedious and demanding for genuine freelancers and can lead to legal action against them if they misinterpret the rules and fail to pay the right amount of tax. DNS Accountants, along with the efforts and inputs of our learned team of accountants and taxation professionals, have developed our own cloud-based accounting software – Nomisma Solution. Freelancers can have access to the entire solution package including bookkeeping, payroll, self assessment, auto enrolment and customer relationship management (CRM) - the most important feature for contractors in Croydon. With a cloud accounting system, our clients have access to their existing business performance information which can be accessed from any location and at any point of the day (the only thing needed is an internet connection). Since, contractors work on multiple projects at one time they require up-to-date information and access to professional advice from our IT contractor accountants in Croydon to help freelancers/contractors with the challenges facing the business. Most challenging part for any business is to find a contractor accountant who gives a fixed price, communicates with the clients regularly and customize the services according to the client’s industry and needs. Our team is experienced and helps clients with credit support and has the competence of reducing the tax base. 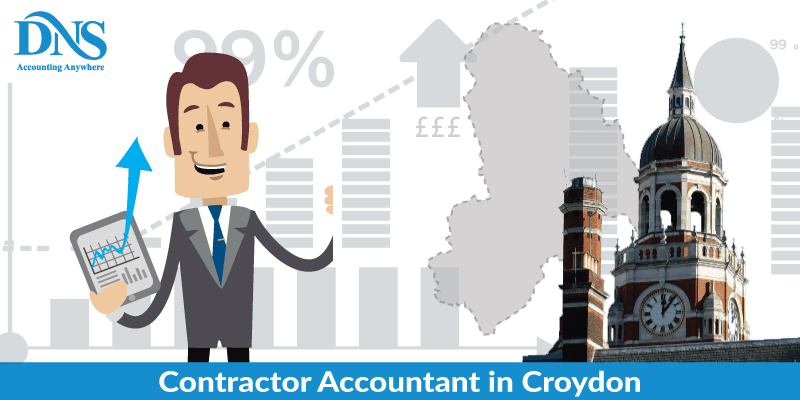 DNS Associates – Contractor Accountants in Croydon provide accountancy & taxation services that meets the need of local businesses and tax payers, in and around Croydon. 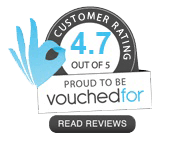 Our expert tax accountants in Croydon help clients in services ranging from completion of year end accounts and annual returns to Real Time Information (RTI) payroll, bookkeeping to tax advice and savings, Value Added Tax (VAT) and business plans. Why work with DNS Accountants? DNS Accountants – contractor accountants for small business in Croydon, provide expert accountancy and taxation consultancy that is tailored to the personal and business needs of freelancers, contractors and small-businesses. Our chartered accountants in Croydon focus on providing dedicated and professional services to all local businesses and individuals operating in Beverly, Bristol, Burlington, Cornwells Heights-Eddington, and Edgewater Park.